In keeping with our taste for a bit of luxury (without having to pay ridiculous luxury prices! 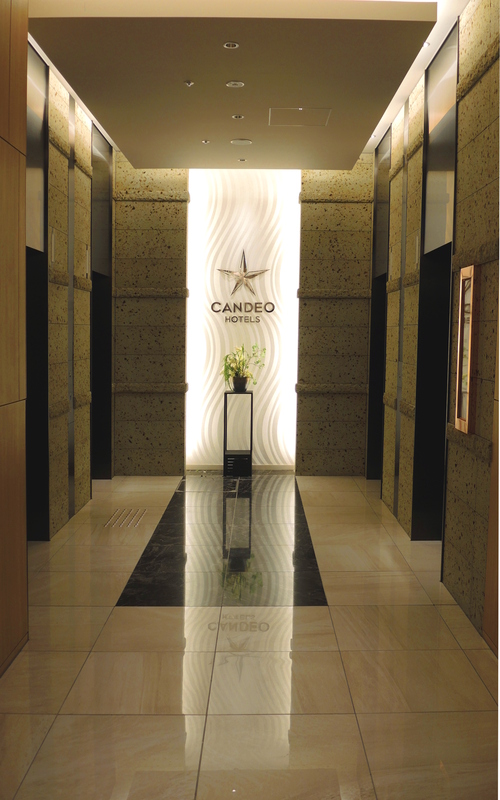 ), we singled out a stay at the Candeo Hotels chain. They operate business hotels across Japan combining an element of luxury but with a somewhat more reasonable price point. 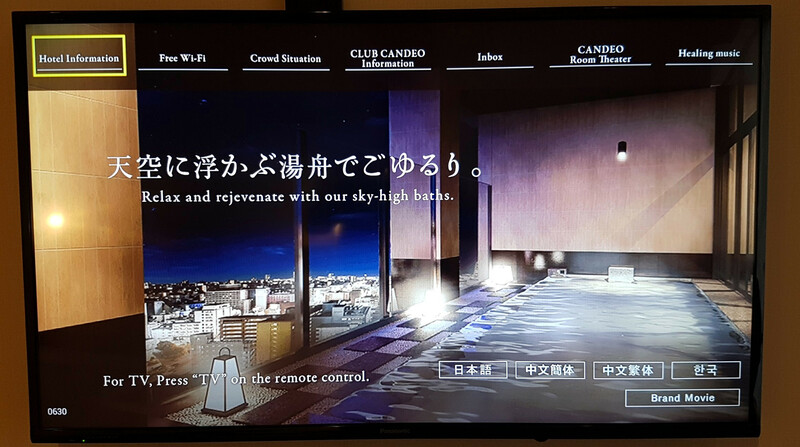 That key ‘element’ in the Candeo Hotels Osaka Namba is they offer what they legimately call their SkySpa – large rooftop onsen-style baths. 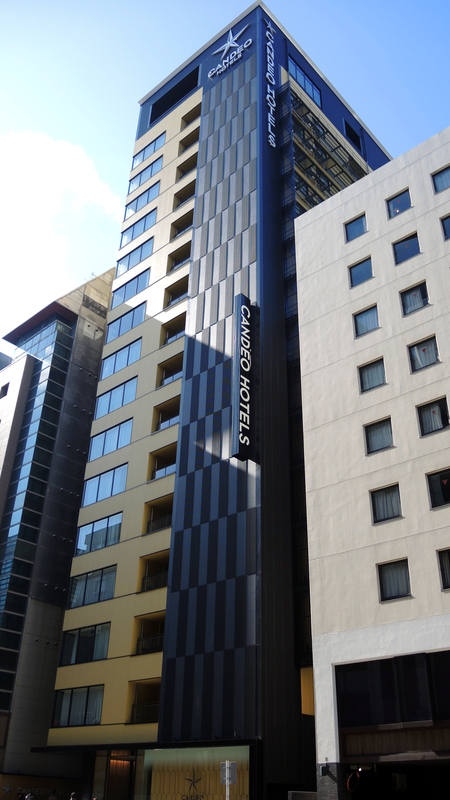 The hotel is located in Namba – considered to be at the heart of south Osaka. 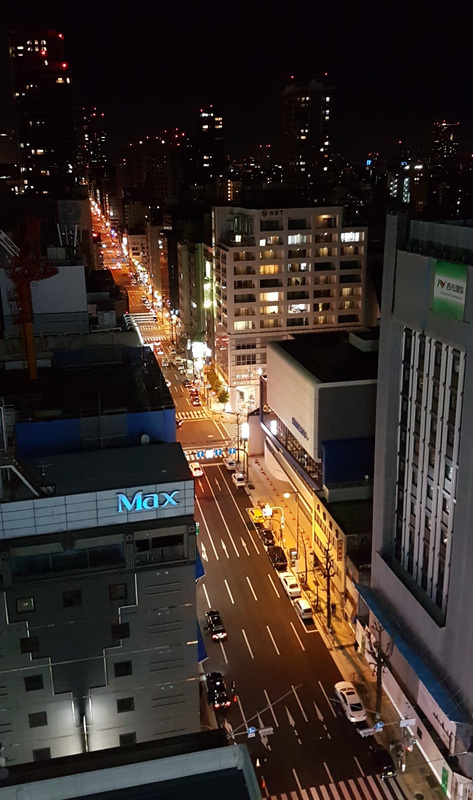 If you’ve ever seen a night time photo of Osaka – there’s a good chance it was taken somewhere in Namba. It’s also a major entertainment and shopping district. So there’s plenty to keep you busy on your doorstep or just a few stops on the subway. Shin-Osaka (where the shinkansen trains stop in Osaka) is 13 minutes away on the subway. 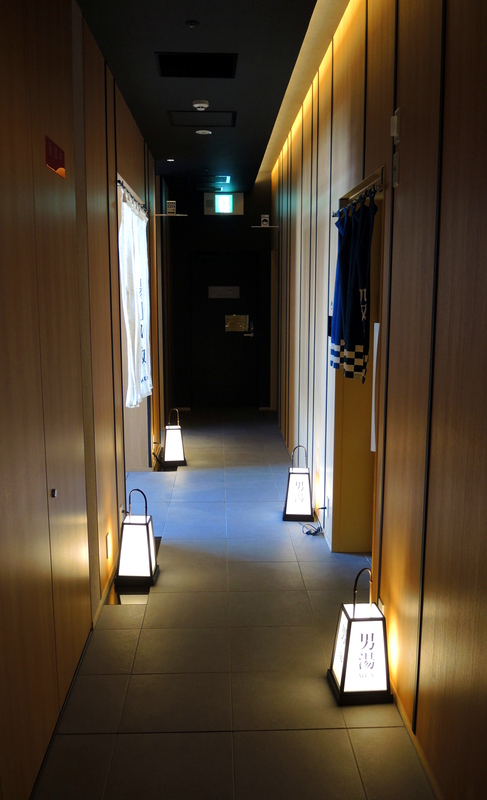 The hotel is 5 minutes walk from Nagahoribashi Station – which we used most of the time we were here. 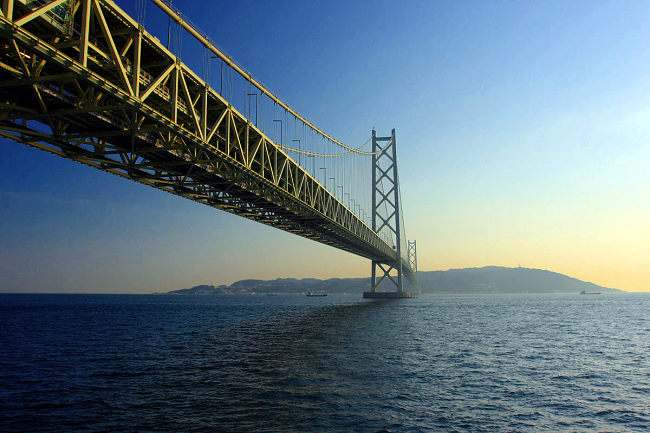 The better-known Shinsahibashi and Namba Stations are both within 10 minutes walk. 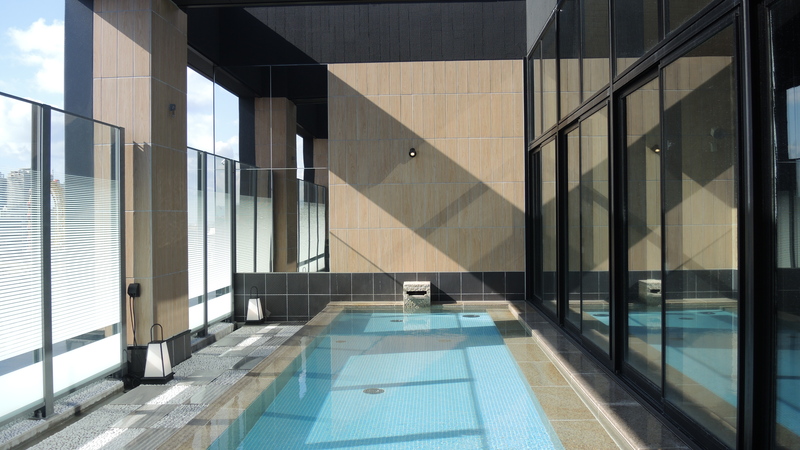 The group actually has two hotels in Osaka – the other is next to Universal Studios Japan (on Osaka’s west coast) – so if you’re visiting there and you fancy a bit of a rooftop soak during your trip with your overnight hotel stay you may want to take a look at that one. We had a Superior Queen Room – which sounds very luxurious – but is actually their entry level room. Which, once we saw it in person, we were slightly surprised about. 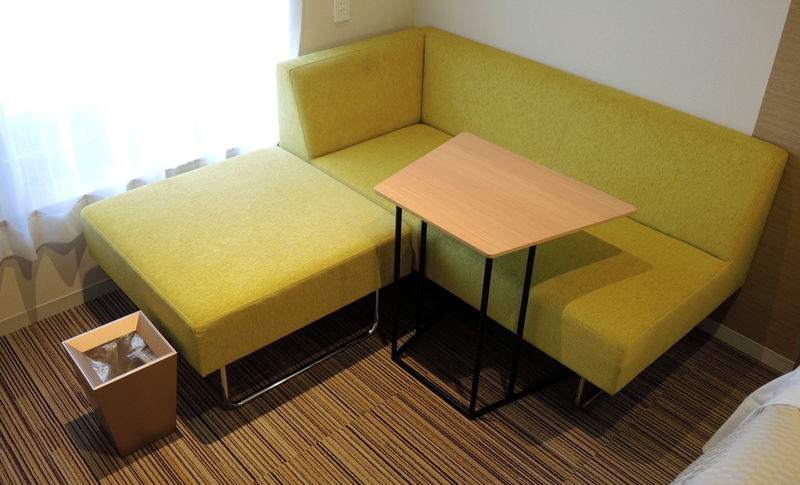 As, by business hotel standards, it’s a very decent size – 16m². 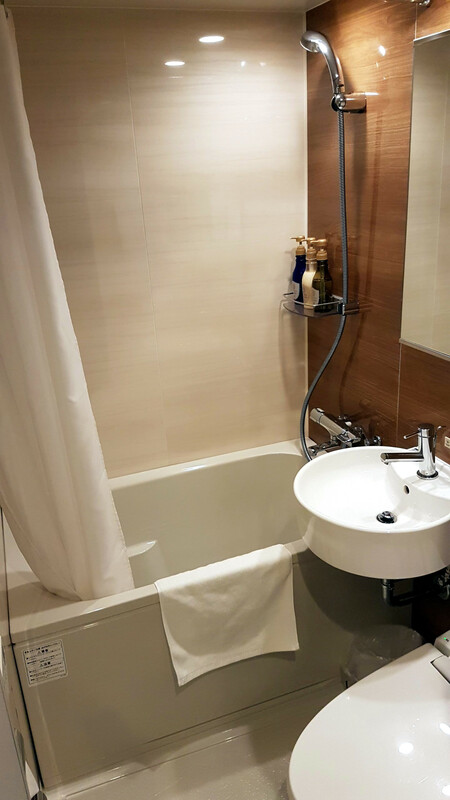 It includes a small bathroom, with a proper – if slightly shorter than back home – bath (an essential for us Brits!) with built-in shower. Toiletries (soap, shampoo, conditioner) were all by the well-known Japanese brand Pola. The toilet was one of the iconic Japanese automatic ones, with bidet, cleaning etc. features – as expected at this range. Our room also had a fridge, wall-mounted airconditioner/heater, tea/coffee-making facilities. We were disappointed that there was no safe in our room (fairly common in business hotels). Having said that, if there’s one country where you can leave valuables in your room and be confident that they’ll still be there if you go out, it’s Japan. The information/entertainment system via the TV was good. Everything was in English, Chinese, Korean (and Japanese, of course). You can hire films to watch for 24 hours (using a ticketing system on each floor). The was no wardrobe, so worth noting if you have a lot of luggage and are staying for long periods. Since every other room type is larger and better-appointed, the standard of our entry-level room was quite impressive. 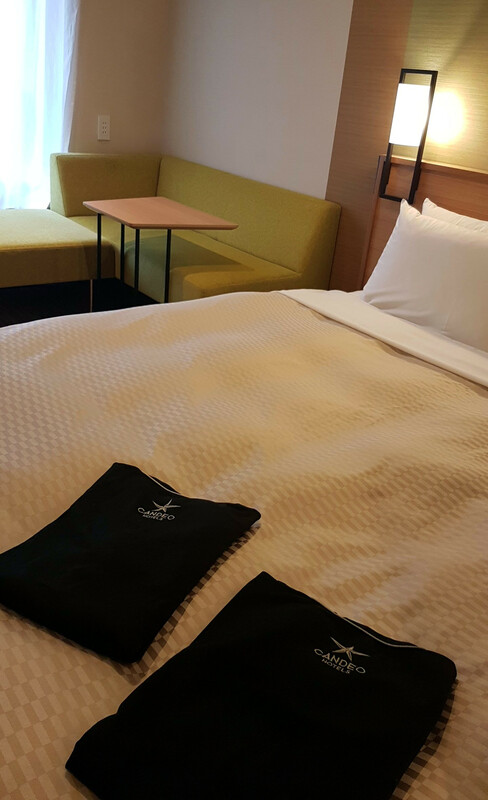 Superior Queen Rooms like ours are available direct from the hotel starting at ¥15,000 (US$137, £99, AU$176). All others rooms are priced higher. Breakfast costs extra (see below for details). Clearly, the rooftop spa – on the 17th floor – is the main attraction here in terms of facilities (and what sets the Candeo Hotels apart from their competitors). But what does that actually comprise? First up, the SkySpa is seperated by male and female, and they have separate entrances. However, their design is the same. The only difference being in the saunas. The men’s sauna is a dry sauna. Whereas the women’s sauna is a mist sauna. There’s a locker room for leaving your clothes and things and a changing room. Here there are individual sinks with toiletries, hairdryer and individual chairs for use before or after you use the spa. The washing area (you always pre-wash before using baths in Japan) is big, with a lot of individual booths. So unless it is really busy, you shouldn’t have to wait to use one. 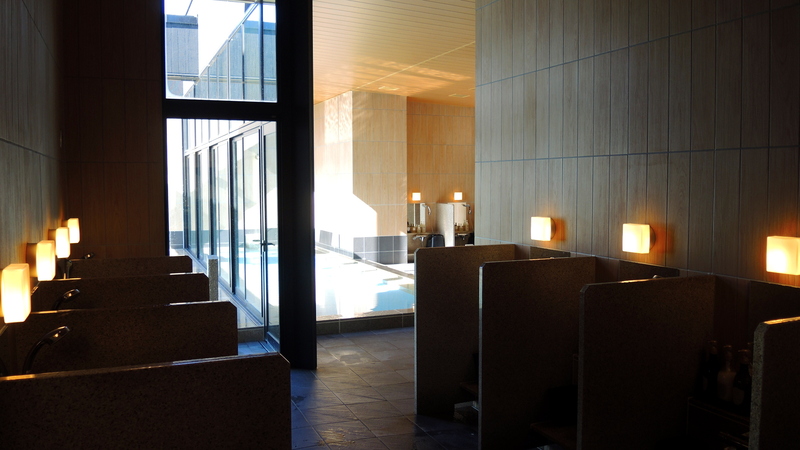 There are two main large heated baths. One inside, the other outside. They’re a reasonable size, so outside of peak times you ought to be able to find a bit of space to yourself*. *Helpfully, in each room the entertainment system includes live information on how busy each of the spa’s is. So you will have a good idea of what to expect before you use it. This being a city centre hotel, the glass overlooking the streets (and neighbouring buildings) is partially frosted to provide privacy. However, sat in the outside bath it’s possible to effectively see through the discretion screening – affording some memorable views – particularly at night time. Also on the 17th floor is a shared, modestly-sized Relaxation Lounge. In here you’ll find several sofas, tables and chairs to chill out on after your soak (there are no massage chairs though – which is a shame.) There’s a vending machine at the entrance with hot and cold drinks. 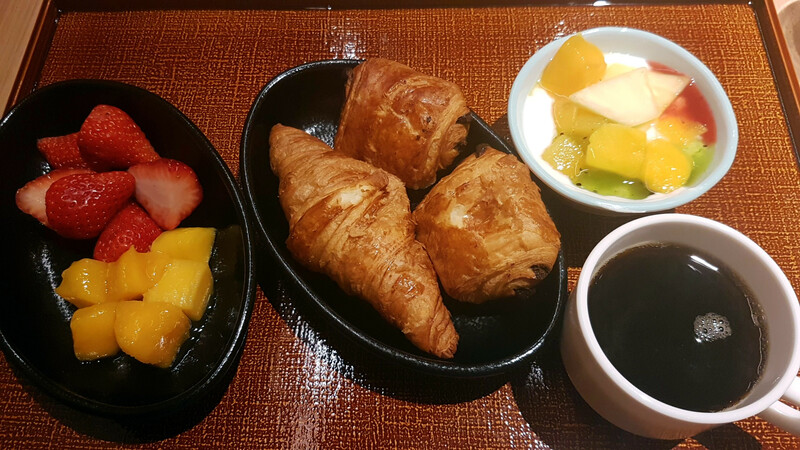 Breakfast in business hotels is usually a simple affair when included in the price of the room. Others make it a more substantial optional extra you have to pay for. Here it is extra. The latter works well if you want to keep costs down and are happy to pick up something at local combini (convenience store) for a fraction of the price in the hotel. So, if you do stump up the extra money you want to know it’s worth it. The extra here was an additional ¥1,800 (US$16.40 / £11.60 / AU$20.60) + tax for adults – not a sum to be sniffed at. Children aged 6-11 years old it’s ¥1,000, for the real young ones aged 0-5 years old it’s free. But in terms of both range and quality it was justifiable. 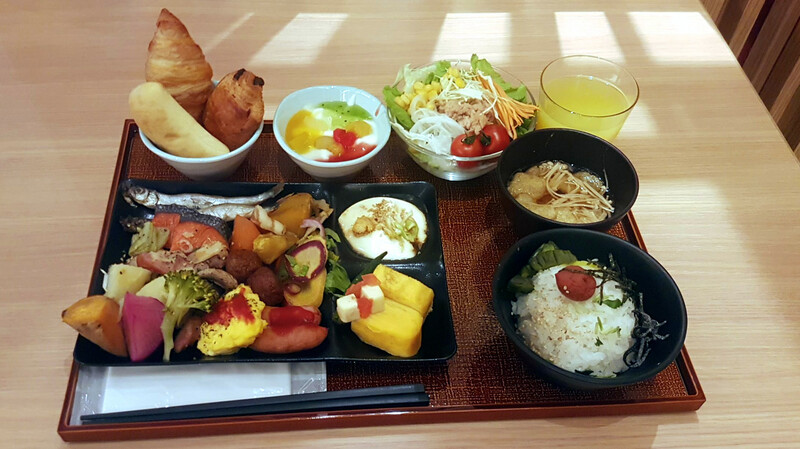 There were Japanese and Western cuisines available, plus some ‘international’ options. Lots of fresh fruit too and water infused with fruit and vegetables (which showed nice attention to detail). We didn’t enquire about vegetarian or vegan options – so if you’re interested in either it is worth checking beforehand. Breakfast was served between 7.00 – 10.30am and we came down for ours around 9:30. At some business hotels (especially smaller ones) the choice can often be very limited towards the end of service. Not so here. Anecdote: I could see they served pain au chocolat – but the basket for them was empty. I asked a member of staff (there were many in attendance, replenishing food, cleaning away trays, etc.) if I could get some. I was told more were coming and would be ready in 3 minutes. Sure enough, they were and they were worth the brief wait. Hot, light and slightly melting decent chocolate inside. One of the better breakfasts we’ve had in a business hotel and definitely at the top end of what can be a broad range in terms of quality. The hotel is a brand new build (rather than a refurbishment of an existing building). Opening its doors for the first time in July 2017. And it looks and feels new and contemporary – especially at its price point in what is a crowded and competative market. By most business hotel standards, the exterior of the hotel has a definite classy air to it. 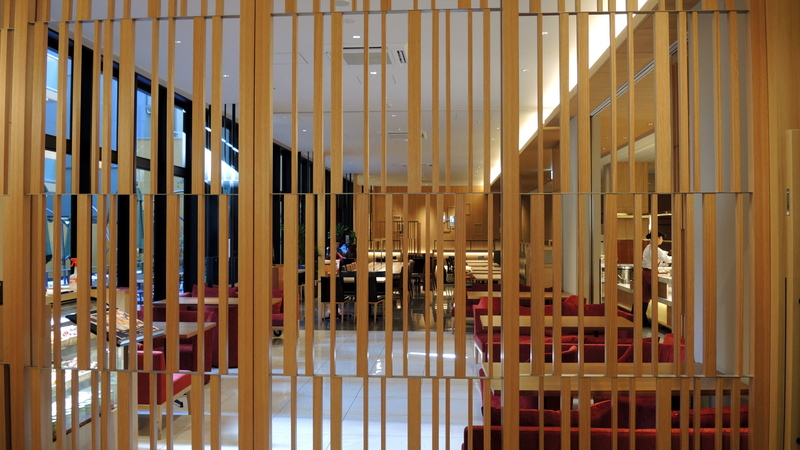 The main breakfast lounge is on the groundfloor (aka 1st Floor in Japan). It’s large and attractive. 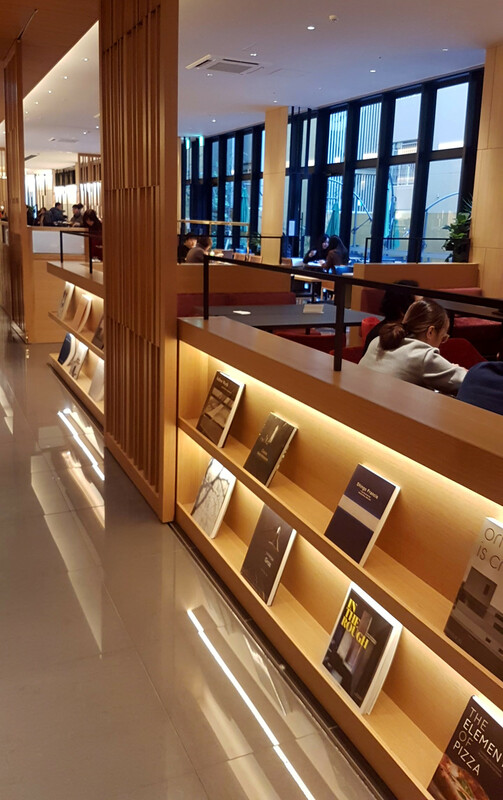 It also contains a library with several design and architecture books I wouldn’t have minded reading myself – if we’d had the time! I was surpised to learn though, that this entire area was used only for serving breakfast. Throughout the rest of the day it is not in use. Access to the ‘library’ area for guests during the day would be a nice improvement. Note: there is no bar or restuarant in the hotel. If you’re looking for either you’ll have to look outside. 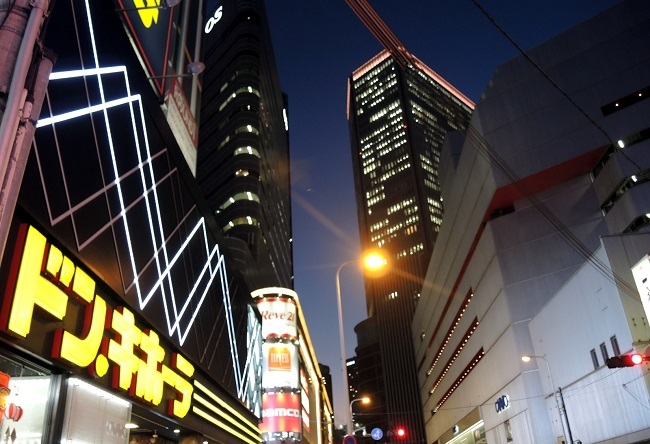 But this being Namba – you’ll have plenty of variety nearby to choose from. The rooms all have a similar colour design. Olive green upholstery for the chairs and cushions. And natural tones for the bedding and hints of bamboo and wood in the cabinets and trimmings. Essentially easy on the eye. In Latin, the word ‘Candeo’ means ‘shining’. 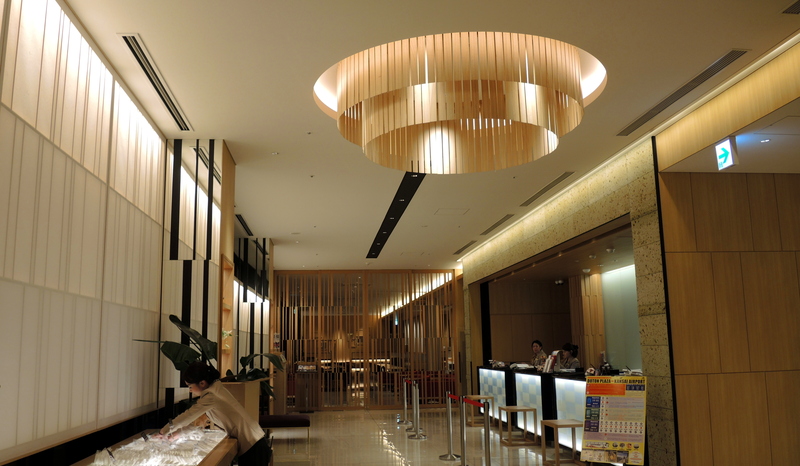 Apparently, the chain adopted the name as part of their goal is to provide hotels that are brighter than usual, and in the Osaka Namba building they’ve certainly achieved that. It’s a stylish-looking hotel. If you’re driving whilst here, the hotel does offer overnight parking. The hotel is wheelchair accessible. Housekeeping is every day and there are coin-operated laundry machines available. 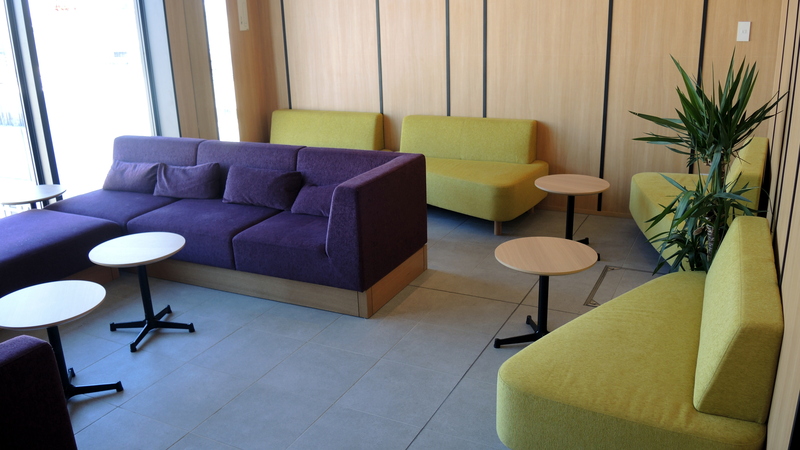 There’s free Wi-Fi in all rooms and public areas – which we tried and it worked well. The front desk is accessible 24 hours. There are vending machines in the hotel but, disappointingly not on every floor – which is a shame. If I fancy a late night vending machine raid (not unheard of) the last thing I want to do is to go to the hassle of catching an elevator to another floor to find one. This (presumably) cost-cutting measure, made all the more apparent by the fact that there are machines to buy vouchers for use with the in-room entertainment system (eg watching a movie) on every floor. Note: all rooms are non-smoking – but smoking areas are provided. However, we did see some cigarette butts on the ledge outside our window – so some guests are (perhaps inevitably) clearly ignoring this rule. The chain caters primarily for the nearby East Asia market. So you should expect more package tour type fellow guests than Japanese salarymen in town for local business. During our stay, the vast majority of the guests (and there were a lot of them!) were either Chinese or Korean. 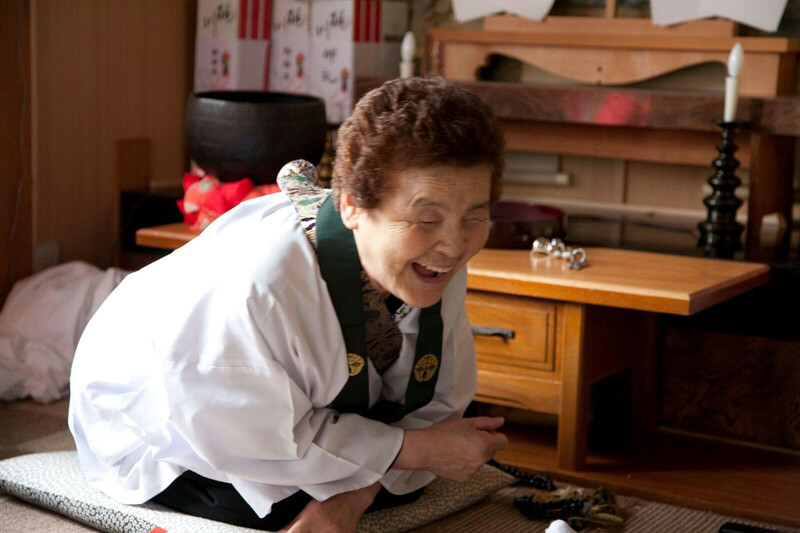 The hotel has Korean staff – so they’re well used to dealing with non-Japanese guests. Several staff spoke English, and when I called reception late and the person on the desk didn’t speak much English, she quickly got someone who was fluent to speak with me. Another thing we did note was that the range of toiletries in the hotel was quite limited. Aside from shampoo, conditioner and soap in the bathroom, there was nothing else in the room. All the toiletries are in an area in reception where you pick up what you need when you check in. It’s not a system I’m keen on, but it is fairly commonplace in Japan in this price range. However, there was no moisturiser for example. I understand this approach probably contributes to keeping costs under control, but with the chain’s SkySpa concept – it felt particularly cheap. 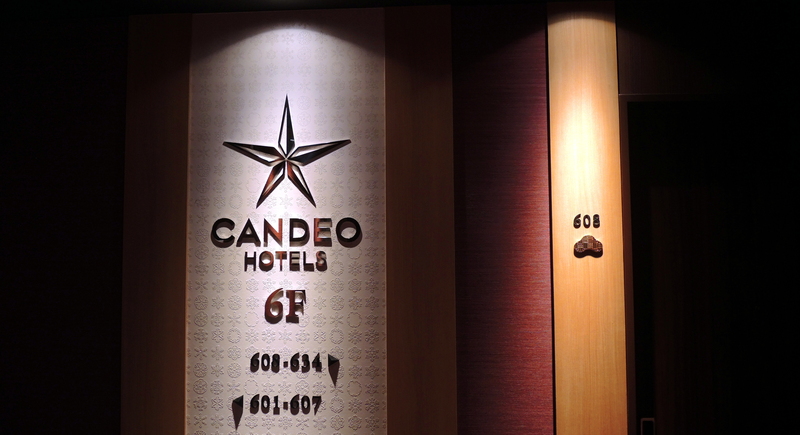 If you’re looking for a mid-range priced hotel, and you are partial to a bit of pampering, or just like the idea of soaking in the open air in a hot rooftop spa, then you should definitely take a look at the Candeo Hotels Osaka Namba. It’s well-located, modern, has large rooms (by business hotel standards), and an extensive breakfast menu. Offers premium aesthetics and a touch of luxury – but without that luxury price tag. 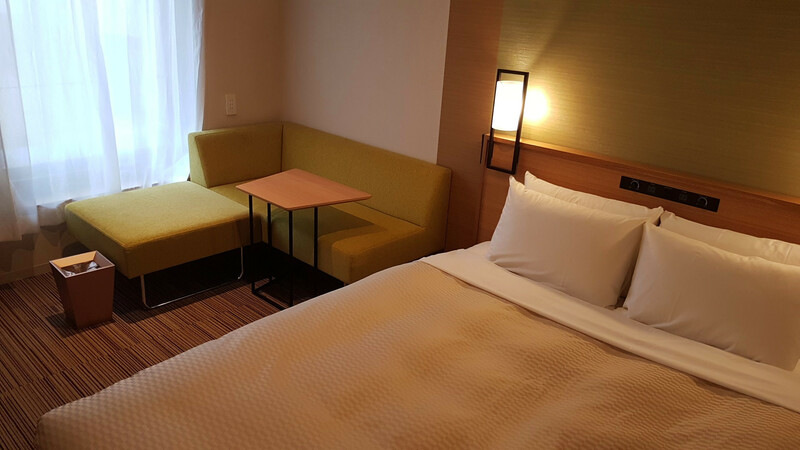 Nevertheless, room prices firmly place the Candeo Hotels Osaka Namba at the top end of the price range for a typical business hotel. But then that SkySpa experience is far from typical! Experience making Takoyaki in Namba, Osaka! Join a Growing Community of Travellers! 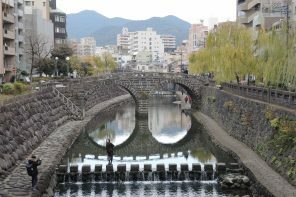 Sign up for my biweekly bulletin today, download your copy of my Guide to Amazing Adventures in Japan, receive access to my free Resource Library and Private Facebook Group.